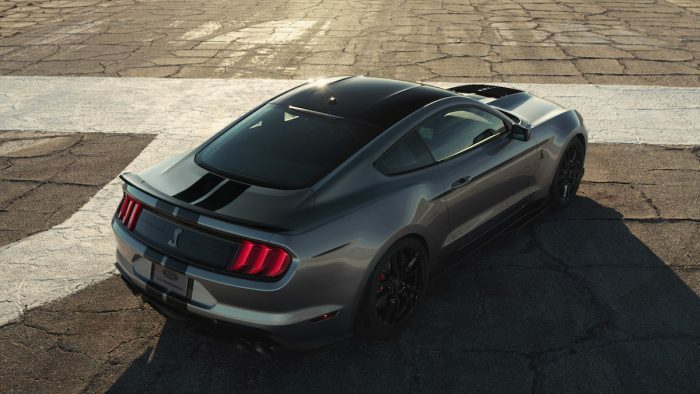 Ford is known for high-performance muscle cars, but now it has its most powerful muscle car of all time. 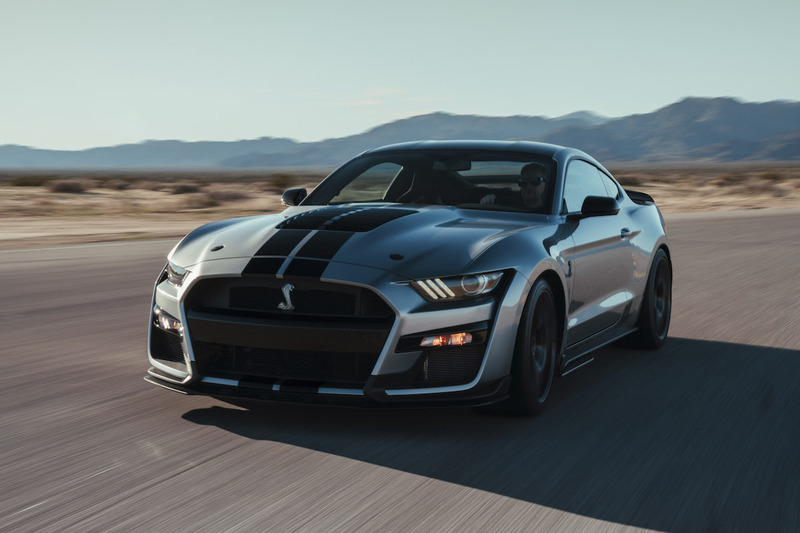 The 2020 Mustang Shelby GT500. It comes with a supercharged 5.2-liter V8 engine that produces more than 700 hp. 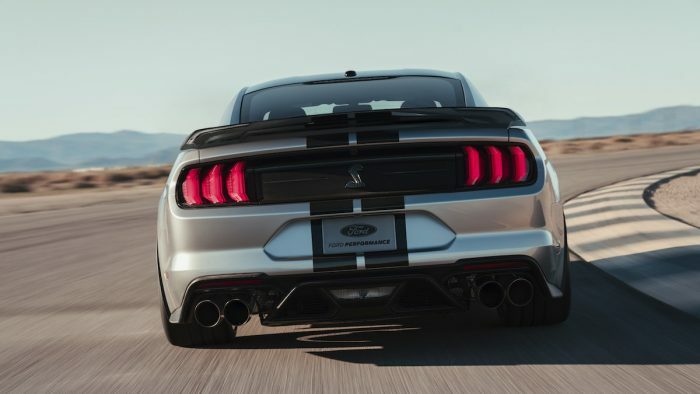 Its monster V8 engine is connected to a dual-clutch automatic transmission that puts all that power down to the rear wheels. That should translate to mid-three second 0-60 mph times and a quarter-mile drag strip time of under 11 seconds. 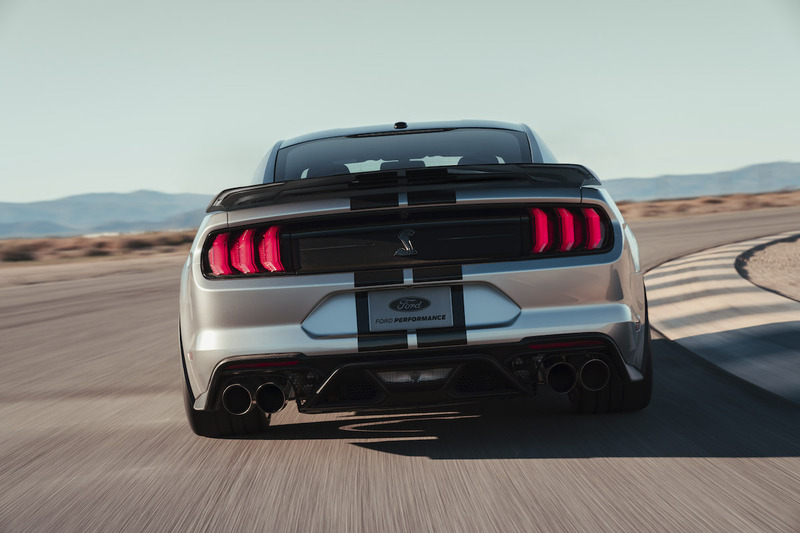 The GT500 isn’t just a straight line hustler, though, Ford claims it possesses the best braking and cornering of any domestic sports coupe. Dodge and Chevy, Ford is looking right at you. 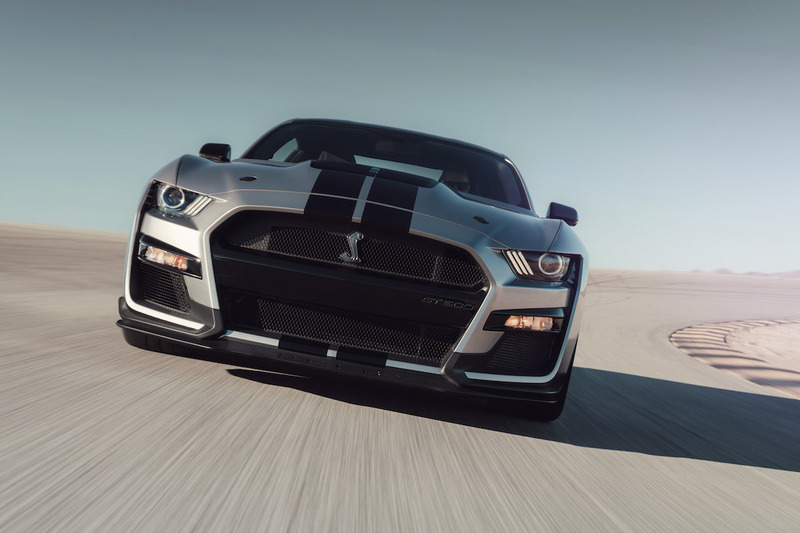 The Shelby produced car has an exterior design focused on aerodynamics. It’s supposed to increase downforce and improve thermal management. Ford hasn’t released specific engine power numbers or performance numbers for the car. All that will come at a later date. However, Ford did give insight into just how unique the model is. The powertrain is special to this car, and the aluminum alloy engine is built by hand. The engineering team inverted the 2.65-liter roots-type supercharger with an air-to-liquid intercooler to help keep the center of gravity low. 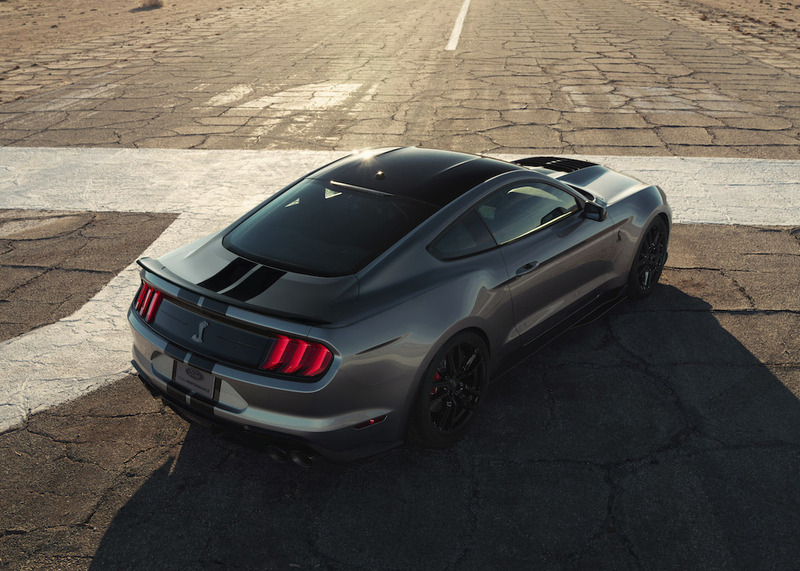 To channel power efficiently and effectively, Ford used a carbon fiber driveshaft. In conjunction with the 7-speed dual-clutch transmission that can shift in under 100 milliseconds, this helps put the power from the engine down to the wheels. The car also gets fully revised suspension geometry and a new electronic steering system. It gets MagneRide suspension to help manage everything. The massive 16.5-inch two-piece brake rotors (the largest of any domestic coupe) and Brembo brake calipers finish the car’s performance specs for the moment. From an aesthetic standpoint, the car looks downright angry. It’s the face of a true muscle car if I ever saw one. It’s here to gobble up Chevy Camaros and Dodge Hellcats with aplomb. It will arrive in the fall of 2019.